Looking for Nutrition advice and therapy in Canada Water SE16? Claire specialises in weight loss, healthy eating, wellbeing and sports nutrition. She provides client-specific dietary, supplement & lifestyle analysis and advice, as well as practical support to help her clients reach an ideal nutritional balance. Claire has written nutrition articles for many different companies on various topics ranging from weight loss to foods for increasing energy & concentration & from sports nutrition to iron absorption. She has also designed nutritional menus for restaurants & ensured they have sections dedicated to allergies & intolerances. Extensive experience from working with London Scottish rugby team, professional footballers/boxers, pre-natal groups, health initiatives for children & personal trainers. Does various talks to the corporate world on healthy eating & foods for energy. Edited a nutrition book for its nutritional content. Worked at various private nutrition clinics in London & Essex & supplement shops (The Nutricentre) & Lloyds Pharmacy as their in house Nutritional Therapist. Worked with IKEA on their recent sleep retreat giving advice on how to get better sleep. Lectured on nutrition at schools/colleges in Essex. 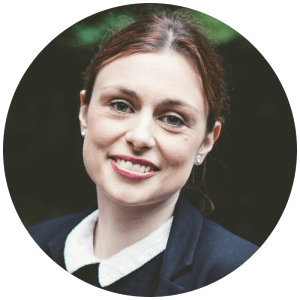 Claire offers a free 15 minute telephone consultation to all potential clients to answer any questions they may have about nutrition and to learn more about their needs, in order to devise suitable and effective plans. She will carry out an initial assessment of the client’s condition on the phone and once the client understands what the treatment entails and how it can help, a face-to-face consultation can be arranged. During this consultation, more information will be required from the client and a treatment plan will then be designed and tailored specifically to meet their needs.